Historical action drama co-written and directed by David Mackenzie. 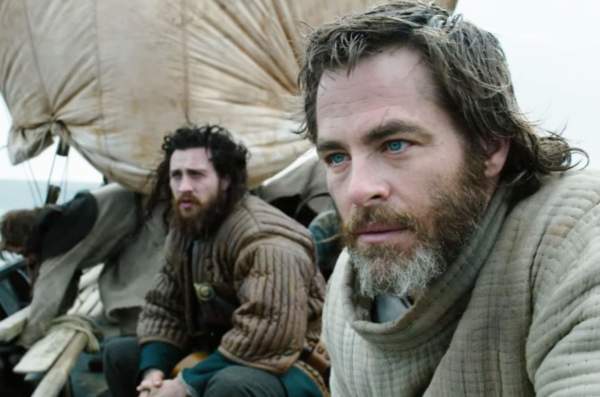 This the untold, true story of King of Scotland, Robert the Bruce (Chris Pine ), who transforms from defeated nobleman to outlaw hero during the oppressive occupation of medieval Scotland by Edward I of England (Stephen Dillane). Despite grave consequences, Robert seizes the Scottish crown and rallies an impassioned group of men to fight back against the mighty army of the tyrannical King and his volatile son, the Prince of Wales (Billy Howle). Elizabeth Burgh: [to Robert] I’m sorry if I was rude earlier, but I know you have no need for my counsel. It’s true, I have seen very little of the world. However, a young lady of my standing is afforded a great deal of time to read, to form distinct opinions, and to draw her own conclusions about the nature of power. Alright. Power is making decisions. Power is not allowing yourself to be buffeted on the tides of history. Instead, it is choosing a boat, climbing aboard, and hoisting the sail. I choose you. And whatever course you are charting, I choose you. My husband. Robert Bruce: Wallace was tortured and slaughtered. The people aren’t tired, they are desperate for justice. King Edward I of England: Robert the Bruce to be declared an outlaw. Any man or woman who would give shelter to him or any of his ranks to be executed without trial. Robert Bruce: No more taxes for Edward’s pocket. No more good men dying in wars not of their making. We can unite Scotland. We could win her back. James Douglas: [to Robert] Thinking about revenge? I know the feeling. It tears at the soul. But it can also be a weapon. Robert Bruce: This is how we do it. We travel in stealth. Strike without warning. Take the land back castle by castle, destroying them as we go. James Douglas: I serve Robert Bruce, King of Scots! Join us to free our land! King Edward I of England: It was my hope to grow old and not die on the battlefield. But I see now that the great danger in a death from natural causes is that one may be lying in one’s bedchamber, thinking of all the things that have been left undone. Robert Bruce: I’m done with running, and I’m sick of hiding. We’ll provoke them until they come after us. so long as you fight! What do you think of Outlaw King quotes? Let us know what you think in the comments below as we’d love to know. Uninteresting and uninspired movie for one of Scotland’s most important people of all time. Ignores many important moments and facts about the man who the film is about. Only 1 interesting character in James Douglas the rest were boring and uninteresting. Was rushed to a very lacklustre battle at the end. Would be better if drawn out as a tv series and included more to help better the story not shoved into a 2 hour movie. Not a lot of mention to other important figures at the time apart from a quick couple of mentions of William Wallace. Would have been nice to have other battles like the most important in the Battle of Bannockburn. I may seem harsh towards it but even the slightest look into history or a bit more research into it they really could make a masterpiece of a story to outshine Braveheart (which also has a lot of inaccuracies but it is watchable. Crap movie would not watch again. While I agree on some of the history was still spun for Hollywood tales, overall it was pretty good. Your point about not including the Bannockburn is moot. The story was to focus on the forgotten years of Bruce. Which for the most part it did. 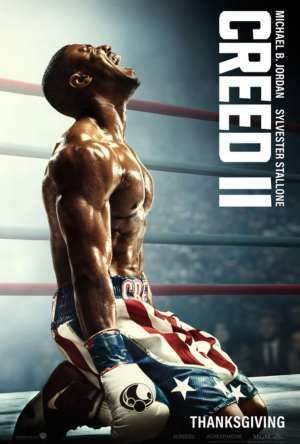 I believe (depending on it’s success) this film is just the first installment of a Bruce trilogy. Bannockburn will be in the 3rd part of this trilogy. I enjoyed the movie. The only lacking part is the impossibility to show the truth of the times. A two hour time slot is mere slices of a hero’s life. We cannot recapture their true grit or terror no matter how determined we are. Thanks Netflix for sharing! WE, and in we I mean the whole fam (6 yr old daughter Patrice, 12 yr old Ian and us two Moms), just adored this kid friendly film. We think it is so important for our young kidos to learn self defense. As Janet said, Thanks Netflix for sharing!